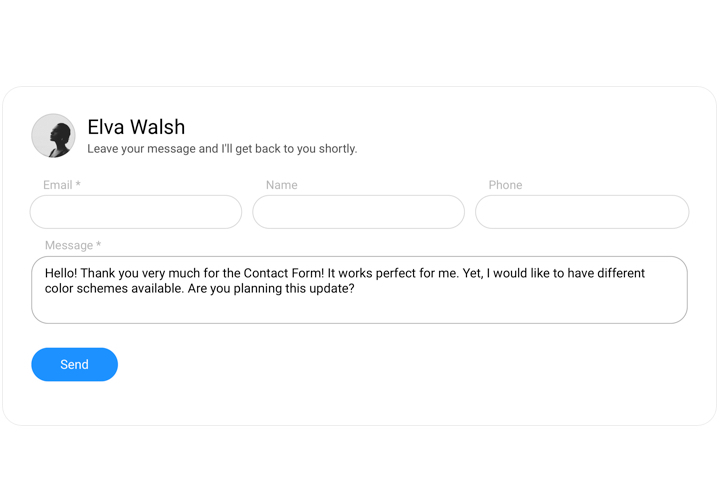 Elfsight HTML contact us form widget – suits any demands in getting reviews and requests from clients of your site. 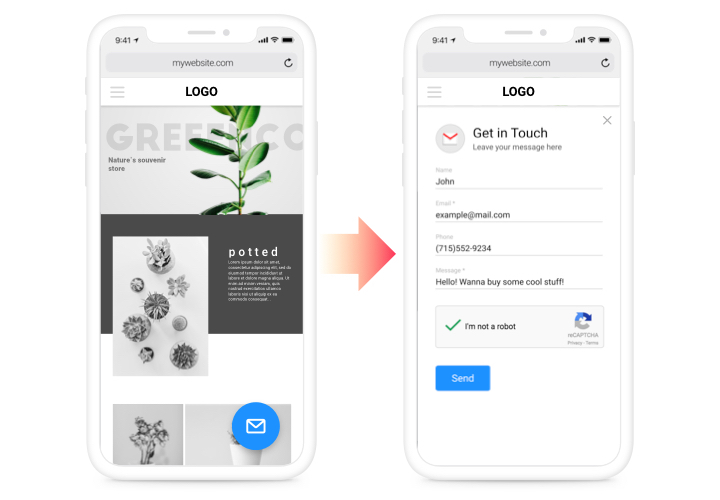 Add the desired elements for filling in, adjust the required template and customize the look, to stimulate your customers even more to send feedback about your products or business. 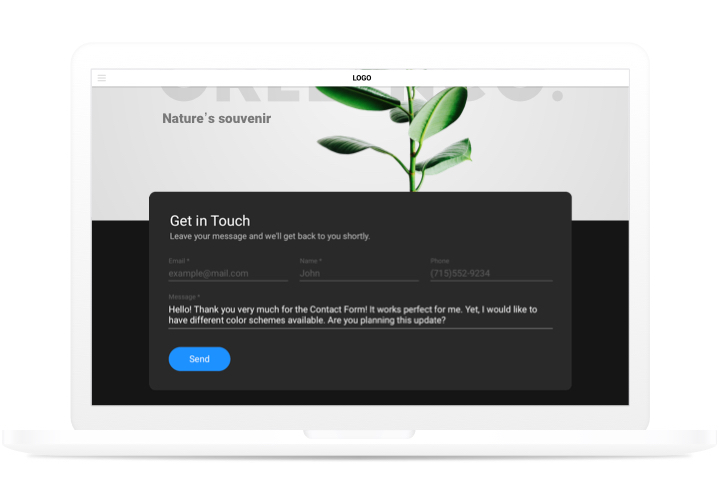 Collect testimonials, take orders and answer the questions of website users! Boost the number of potential customers. Stay in regular interaction with potential shoppers night and day using a useful form on your site and attract visitors who are on their way to pay. Questions, misconceptions and any other opinions of your customers about your offers or services is useful information to understand requirements of your site audience and smartly create a policy of prospective growth of your business. Save mailbox from automatic messages. Don’t support getting spam in your mailbox. 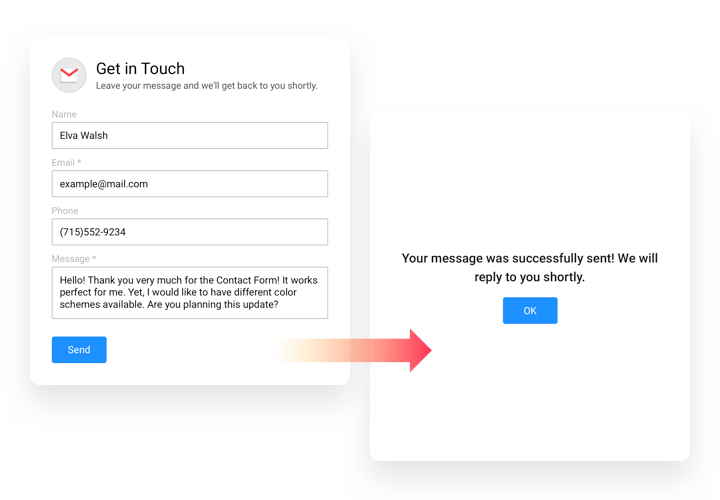 Elfsight form is equipped with Google reCAPTCHA to protect your mail from automatic spam and bots. Apply a guide by Elfsight, to install you own contact widget. It’s unnecessary to have skills in programming and average installation duration is not only near 80 seconds. 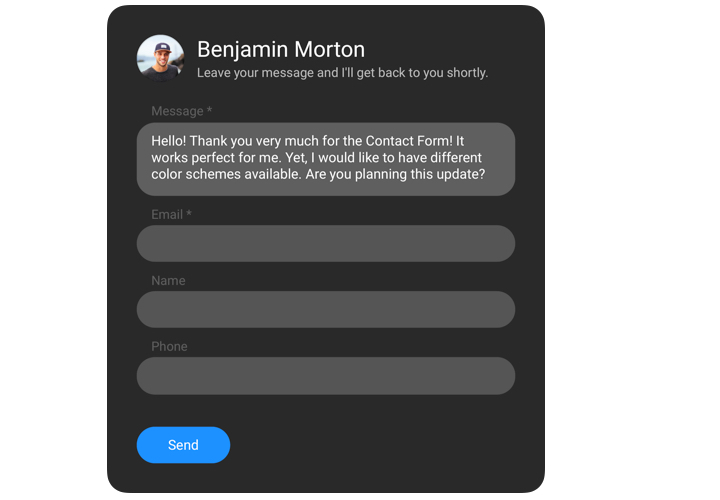 Create your personal Contact Form. With the help of our free editor, design a plugin with necessary layout and capacities. Receive a code for adding the plugin. After widget creation, acquire a code for the form plugin from the appeared window on Elfsight Apps. Place the widget on the HTML website. Start the page code in the HTML editor, show the widget on the required place (content, footer, sidebar etc), and save the changes. Enter the HTML site, to see your form. Experience any difficulties while following the tutorial or creating your form? 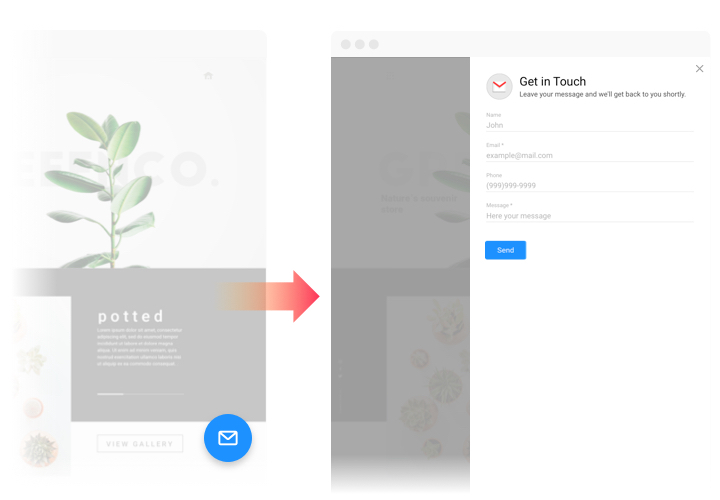 It’s recommended to use an extensive guide «How to insert Contact Form into a HTML website» and give a try to display it once again yourself or write to our support center giving a full explanation of your problem, and our team will be there to advise. Get your HTML contact form right now here!